Aaron Hernandez's fiancée, Shayanna Jenkins, testified in his murder trial today. Jenkins, who was indicted on perjury charges after her grand jury testimony, was granted immunity in January, leading some to believe that she might testify against Hernandez in order to avoid going to jail herself. That didn't happen. "Go in back of the screen in movie room when u get home an there is the box avielle likes to play with in the tub jus in case u were looking for it!!!! Member how u ruined that big tv lmao WAS JUST THINKIN bout that lol wink wink love u TTYL ..... K". But when Jenkins was asked to explain the meaning of the message in court today, she said she didn't know what Hernandez was talking about. If Jenkins was going to flip, that would have been the moment for her to come out and say, "Yeah, he was telling me to get rid of his gun, and that's what I was carrying in a trash bag when I left the house later that day." So what was even the point of granting Jenkins immunity in the first place? For one, getting Jenkins to testify to anything—something she probably wouldn't have done at all if not for the immunity—benefits the prosecution more than just having her sit on the stand and plead the fifth would have. And the prosecution didn't come up completely empty handed today. 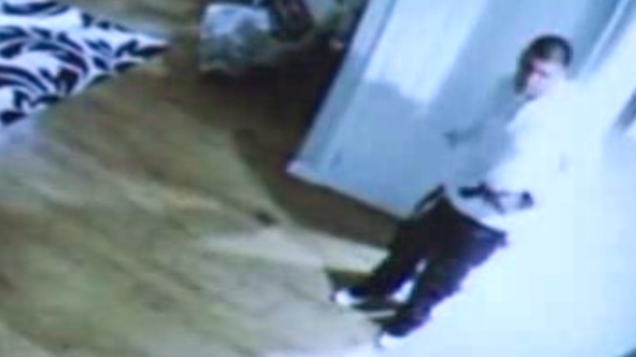 Jenkins testified that she had previously seen a gun in a "junk drawer" at her and Hernandez's house, and later noticed that it had been moved after she gave Hernandez a "stern look" expressing her displeasure with the gun's location. The prosecution couldn't get Jenkins to admit that the gun she saw was similar to the gun-like object that Hernandez's own security cameras captured him carrying shortly after Odin Lloyd was killed—she said the object in the picture just looked like a "black blob" to her—but she did admit that the gun she saw was of similar shape and color to a sample Glock .45, the model of the alleged murder weapon, that was shown to her in court. The Judge called a recess at 4:00 p.m., and Jenkins's testimony will continue on Monday.